Let us find a special auto financing lender near you! It doesn't matter how your credit went from good to bad. It could have been from missed payments, late payments, collection notices, loan defaults, repossession or bankruptcy. But unfortunately, it happens to a lot of people and it can make getting new lines of credit for things like a home or car loan difficult. If you're currently suffering from poor credit, you may not be able to obtain a "standard" loan on the car you need to purchase. This is where AutoCreditExpress.com can help with our special financing auto loans. We work with a network of lenders and dealerships throughout the United States and Canada that offer these programs to buyers, and have matched over 5 million consumers with . As more and more people are experiencing credit problems and looking to get into a new or used vehicle, special finance companies are becoming more popular. 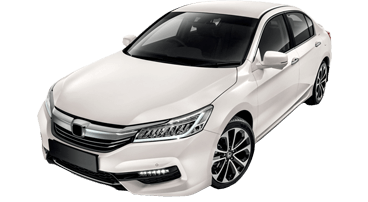 Car loans for people with bad credit are usually very difficult to obtain from a traditional lender such as a bank or credit union. Unlike tote the note dealers, these types of lenders make your credit score the most important factor in deciding whether or not to grant an auto loan approval because it determines your likelihood of default. Many car lots work in a similar way. They believe that "your job is your credit," meaning as long as you can prove that you have a steady income and residence, you will be approved for an auto loan. There are also new and used car dealerships that don't offer in-house financing, but will still accept low credit scores. These dealerships use third party lenders that know the ins and outs of subprime auto financing and, they likely can get you approved. Typically, these loans have slightly higher interest rates and shorter loan terms due to the risk the lender is taking on you. If you have been struggling to find a subprime automotive lender that will work with you and approve you for a car loan with bad credit, your struggle is finally at an end. When you work with Auto Credit Express, our network of dealerships will work to approve you for the car credit you need. With consistent, on-time payments being recorded to your credit report each month, your credit score will have improved drastically by the time you have the loan paid off. This will help you get a lower interest rate and monthly payment on your next vehicle purchase from a conventional lender. Another big benefit to these auto loans is if you make your payments on time each month, then you may even be able to refinance somewhere down the line. Depending on how much your credit score has improved, you could be eligible for a lower interest rate, which will lower your monthly payments and save you money on interest charges. So, not only do special finance companies give you an opportunity for auto loan approval, they can help you save money over time. 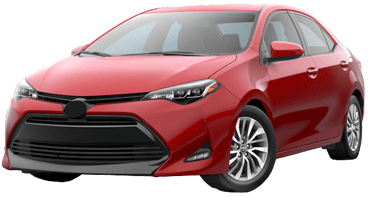 Sacramento residents that may have damaged credit think that they can not get approved for bad credit car loans, but you can through buy here pay here car lots. Many people that are in the market for a bad credit auto loan believe they will only be able to afford an old, beat up, unreliable used car with high mileage. This is simply not true. AutoCreditExpress.com works with thousands of car dealerships across the United States and Canada that offer special auto financing on new cars and pre-owned, like-new vehicles. Once you have all of your paperwork in order, you will typically meet with the dealership finance team and could even be driving your new car home the same day!